It’s our birthday! On Thursday June 28th we’re celebrating our 14th Birthday! Wowzers! 14 years of broadcasting is unbelievable, and amazingly, we still have DJs with us now who were there right in the beginning, and listeners too! 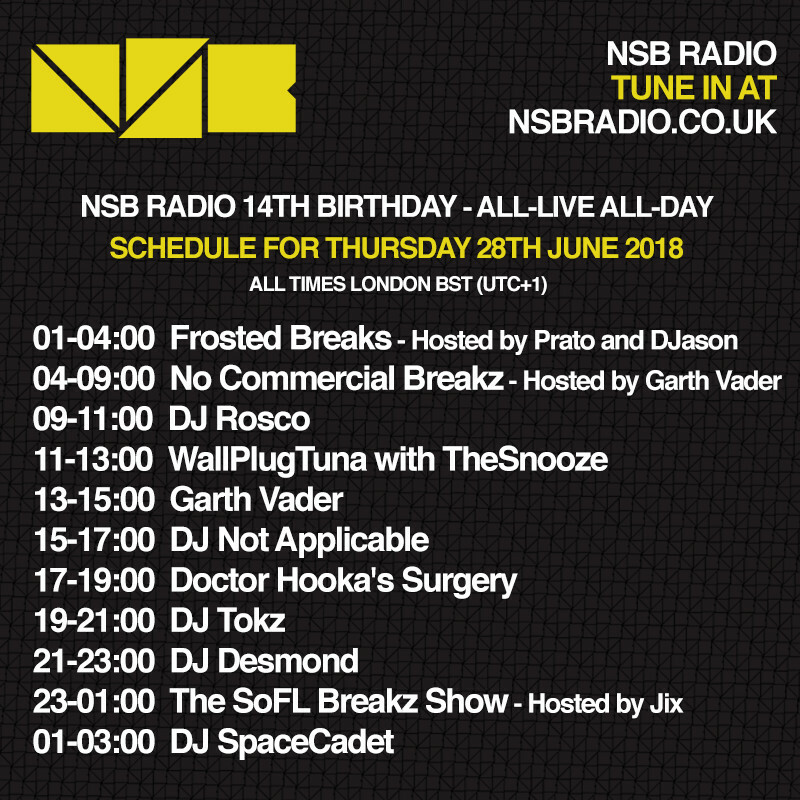 To celebrate our 14th birthday, we are putting together a whole day of live DJs (times in London time, UTC+1) to carry the NSB Radio sound throughout this happy day!